Wyden, ranking member of the Senate Finance Commitee, asks the IRS commissioner to make his case against a $470 million budget cut. Senate Finance Committee Ranking Member Ron Wyden, D-Ore., told IRS Commissioner John Koskinen in a Tuesday letter to tell him by Oct. 2 how a large budget cut could hamper the agency’s ability to crack down on tax cheats and would likely leave it vulnerable to cyberattacks targeting taxpayer data. The fiscal 2016 Financial Services & General Government Appropriations bill proposes a $470 million cut to the IRS’ budget, while also increasing taxpayer services by $90 million, which means the IRS must absorb $560 million in cuts in the agency’s other “mission-critical areas,” Wyden wrote. Congress returns from its August recess on Sept. 8. Lawmakers are supposed to pass all twelve appropriations bills to fund the federal government by Oct. 1, when the new fiscal year begins, but history has proven this often doesn’t happen. In the bill, the IRS receives $10.1 billion, $838 million below the fiscal 2015 enacted level and $2.8 billion below the president’s budget request. 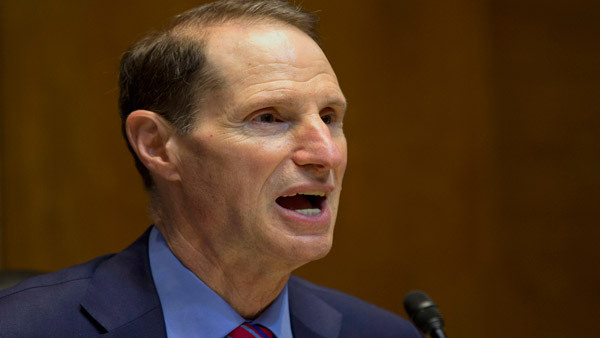 Wyden cited National Taxpayer Advocate data, which states that the IRS budget was reduced by 17%, after adjusting for inflation, between fiscal 2010 and fiscal 2015. “A further cut of nearly $350 million was made in December 2014, and an appropriations proposal for FY 2016 would cut nearly $500 million more, while increasing the agency’s service workload,” Wyden argued. Wyden noted that congressional appropriators have recommended increasing spending for the Department of Homeland Security and the Office of Personnel Management as a result of cyberattacks that hit these executive branches over the past year. “Shouldn’t the resources made available to the IRS be similarly increased in response to cyber threats?” Wyden said.